The Green computing concept launched in 1992 when the US Environmental Protection Agency introduced the Energy Star programme in computer manufacturing. This lead to the wide spread campaign about the use of environmentally sustainable electronic devices. The Energy Star programme was revised in 2006 to implement standard and regulations to manufacture computer CRTs with low magnetic and X ray emissions. The Extended producer responsibility model gives responsibility to the user to dispose the device after it is no longer needed. Many countries already launched recycling programmes for obsolete computers and other electronic devices. 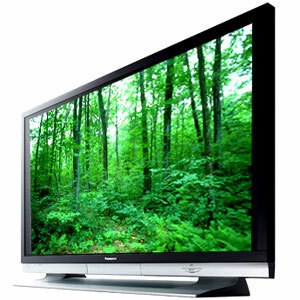 Many countries now adopted programmes to minimize energy consumption in electronic equipments. The Climate Savers computing initiative is the programme launched to reduce power consumption in computers. The Green Electronic Council promotes the manufacturing and sale of Green Computers. The Green Grid is a global consortium promoting the use of energy efficient IT devices in data centers and business firms. The Green Comm Challenge is the organization formed to promote energy conservation techniques in the field of Information Technology. 2. Use of a terminal server system to connect multiple users to transfer datas into a Central server. The central server will process the datas .This reduces energy consumption. 3. Power efficiency system can be introduced, so that the computer and peripherals turn off after a period of time if it is not using. The Hibernating mode and Advanced power management of modern computers are meant for this. 4. Power supply efficiency of the PC can be increased to 80% from 70% efficiency of the present power supply system. 5. Replacement of CRT monitor with LCD or LED monitors. 6. Reduction in the uses of toxic chemicals such as lead, cadmium, mercury etc. in computer parts. 7. Introduction of recycling programmes in all places to dispose obsolete devices easily. 8. Promotion of telecommuting systems. This reduces the cost, travel expenses, carbon dioxide emission from vehicles etc. 1. If you are not using the computer frequently, purchase a small system with minimum attachments and peripherals. 2. Turn off the computer immediately after the use. Do not keep it in standby mode. Even in the standby mode, it consumes around 10 watts power. 3. Buy a good quality computer with Energy star. Always observe the power consumption. 4. Unplug peripherals such as printer, audio system, scanner, modem etc if these are not using. 5. Do not keep the UPS always switched on. Switch on the UPS only when the computer is using. If you are using the computer for one or two hours daily, that is enough for charging the battery. This prevents overcharging of the battery and reduces the electricity cost.